We created an app to record data on-site as part of the Watershed Research Project. 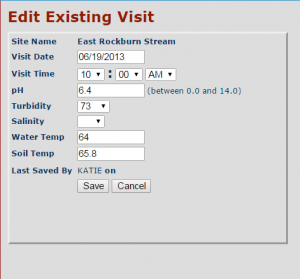 Some data was recorded on-site and stream-side, and other data was recorded after site visits. 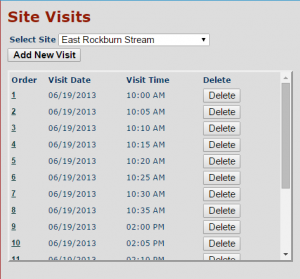 After logging-on, users selected the stream site they were assessing. Then they added a new visit or chose an existing one to edit.